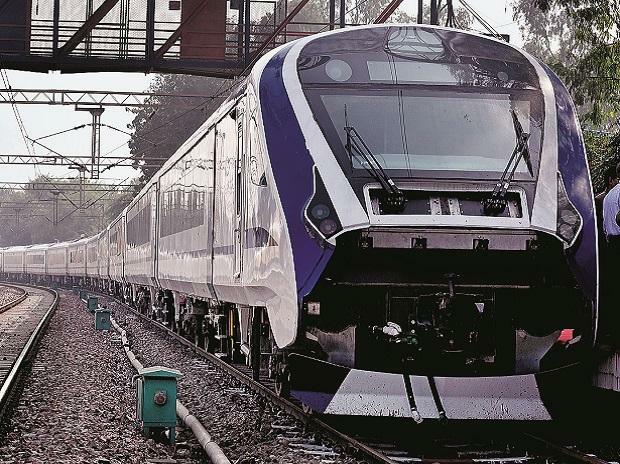 The Vande Bharat Express, billed as India's fastest train, which hit 180 kmph during trials, has been able to attain a maximum speed of 130 kmph during its inaugural run between Delhi and Varanasi, officials said on Friday. Once India's fastest, the Gatimaan Express, which runs between Delhi and Agra with a maximum speed of 160 kmph and an average of 112 kmph, has now receded to the second place. "The maximum speed on this route would be 130 kmph and the average speed would around 95 kmph," said Girish Pillai, Member, Traffic, Railway Board. Its acceleration and deceleration are different compared to other trains, he said. "The train has the capacity to run at 160 kmph. It ran at 180 kmph during trial. The maximum speed of this section is 130 kmph so it will run at 130 kmph," Pillai added. On its inaugural run, the train will take nine hours and forty five minutes to complete its journey due to two 40-minute stops for a variety of programmes, but on its commercial run it will take around eight hours. On its first commercial run on Sunday, the train will leave the national capital at 6 am and reach Varanasi at 2 pm. On the same day, it will leave Varanasi at 3 pm and reach Delhi at 11 pm. The Vande Bharat Express will operate on five days in a week, except on Monday and Thursday. The train was flagged off by Prime Minister Narendra Modi on Friday.